A business website update is typically needed for different scenarios. The fact of the matter is there are no hard-and-fast rules when it comes to updating a business site. It depends on your company’s goals, financial considerations, and effective consumer branding. One thing is for sure, a business website update should not come on a whim or set on an unrealistic time frame. A demonstrable majority of marketers recommend business website updates occur every 13 to 36 months, according to a study by HubSpot. There are legitimate reasons for this advice. First and foremost, Google implements algorithm changes. The tech giant is the single most used search engine, capturing 85.82 percent market share in the latest figures reported by StatCounter. This includes desktop, mobile, tablet, and console. When people need information about a business, very few will actually go directly to its website. Instead, consumers will conduct a search for a business by its name, products and services, and/or by location. This is why SEO elements are necessary for business websites. Search engine optimization aside, there are more reasons to update a business’ proprietary web property. So, exactly how do you know when it’s time for a business website update? Well, this depends on different factors. Staying current with the latest technology isn’t always necessary or easy. But it is your brand’s image at stake. You’ve implemented business brand changes. There are several changes which warrant a website refresh. Some of the most obvious are a name change, new products and services, a new logo, or a complete company structural overhaul. You need your business’ website to reflect such changes. Otherwise, it will cause confusion among existing customers, returning customers, and new customers. Your business website is not mobile responsive. A business website must conform to the newest search standards. In 2015, Google Mobilegeddon debuted and it requires mobile friendly sites. Of the 28 million small businesses in America, nearly one-quarter, 23 percent do not have a mobile friendly website. Those companies will not appear high in organic search results, if included at all. 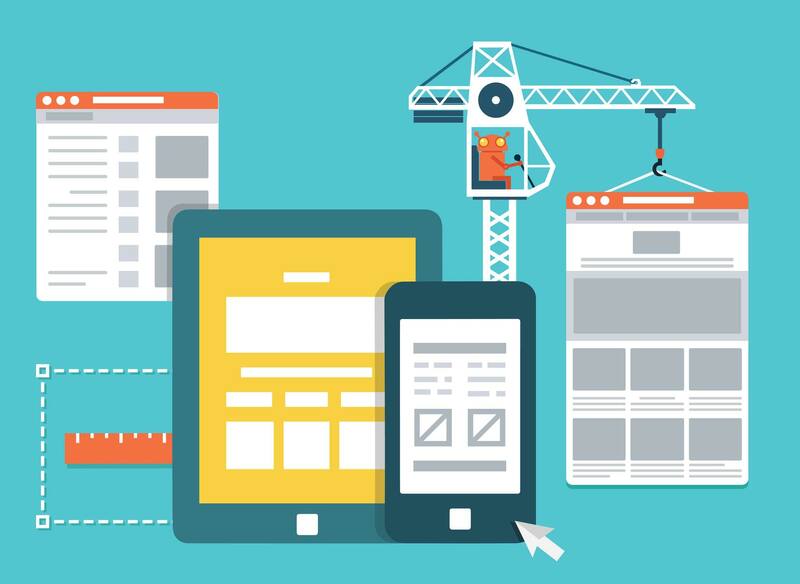 A responsive or mobile website is a must in today’s digital environment. Your business website does not include a blog. In the first decade of public internet access, static websites were normal. Now, consumers search for information on demand. Google knows this well and strongly encourages companies to regularly blog. The reason is simple: a site is only re-crawled when entities publish new content. Fresh, quality content also one of the single largest organic ranking factors. Your business website takes too long to load. Statistically, a large majority of visitors abandon websites which take longer than 3 seconds to load. Not long ago, tolerable wait time ranged between 7 and 10 seconds. But with improved technology, such as AMP or Accelerated Mobile Pages and Facebook Instant Articles, a fast loading website is far more than a visitor luxury. Your business website is steadily declining. Another indicator warranting a business website update is declining traffic. Take a fresh look at your site and ask others to do the same. Carefully consider why people visit and what is and isn’t present. Also, take time to look at the aesthetics, features, and functions your competition offers to hone-in on specifics. In addition to these signs, another way to tell it’s time for a business website update is it’s been 3 to 5 years since the last refresh or initial build. A lot occurs during three to five years and it’s highly likely your business website is out-of-date.